With high levels of consumer indebtedness driving the demand for debt-consolidation loans, you may be tempted – or even advised – to invest in companies that advance funds to credit providers that specialise in these loans. Bridging finance structures are high risk, because there is no guarantee that the home loans can be redeemed timeously or even at their current value, because market forces can dictate otherwise. Despite the assurances you might receive, debt-consolidation loans are not investments for the faint-hearted or for people with limited capital, particularly those in retirement, Prem Govender, the chairperson of the Financial Planning Institute, warns. A Cape Town pensioner had to institute liquidation proceedings against a company dealing in debt- consolidation loans after she was short-paid R600 000 of her capital and more than R120 000 in interest. It was only in response to a liquidation application that she managed to get her money out of Bravomate, a Stellenbosch-based company in the Bondpro group of companies. 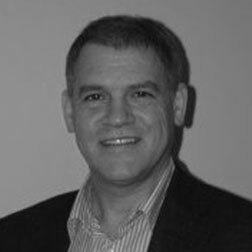 David Herculas Botha is the sole director of Bravomate and Bondpro Finance, both registered credit providers. Botha is a former executive director of Saambou. Mrs S loaned R1.3 million to Bravomate. She did so on the advice of independent financial adviser Carl Liebenberg of Dunvegan Wealth. In terms of Mrs S’s loan agreement, the loan attracted interest equivalent to Absa Bank’s money market rates for the first 21 days after the loan was made, and thereafter at a rate of prime plus 1.3 percent a year. When Mrs S sought to redeem the loan in May last year, Bravomate was unable – or unwilling – to pay her. In terms of the loan agreement, the redemption proceeds were to be paid to her following a 90-day notice period (the end of August). But by the end of September, she had still not been paid. When Mrs S put questions to Liebenberg, she was forwarded an email from Botha. Botha’s email, dated September 30, is contained in the court papers. In it, he “provides a summary of the situation”. Botha said Bondpro fulfils debt consolidation functions, administers loans, settles clients’ debts, coaches clients and rescinds judgments where applicable. “After a period of rehabilitation and once the client’s credit record has been restored, Bondpro prepares the required documentation for the client to be re-introduced to the formal banking sector. Depending on the nature of a client’s initial credit position, this process can take between 12 and 20 months, hence the contract periods with 12- and 18-month maturities, each with extension clauses,” he said. Botha went on to say that “a mismatch takes place if a three-month notice of withdrawal of investment is given”. The loans in the portfolio might not have reached their maturity date yet and, “in order for Bravomate to produce the highest possible yield to Dunvegan clients, the level of cash in Bravomate as a credit provider is always limited”. Although Bravomate also manages the loan portfolios of other credit providers (SPVs), it is not always possible to buy and sell loans between portfolios, he wrote. However, Bondpro has embarked on a campaign to obtain funding with “less onerous criteria from both existing and new funding sources … With regard to future investment, Carl [Liebenberg] and I have also deliberated the holding of some liquidity by Dunvegan in the investor’s portfolio in order to meet short-term withdrawal demands (for example, six months or so).” This explains that, “due to the nature of the debt instruments in Bravomate, the delivery of a three-month notice withdrawal is not always practically possible”. Mrs S points out that Botha’s email contradicts the terms of the loan agreement and the redemption form, both of which provide for a three-month notice period in respect of redemption. In late October, Botha sent another email to Liebenberg’s assistant, saying he was “glad to report” that the company had received funds and that a total of R710 000 was “available for disbursement in about 10 days”. Dissatisfied with a partial payment, Mrs S advised that, unless Botha paid her the full loan amount plus interest by the end of the month, she would begin legal proceedings against both Botha and Liebenberg. She also notified her attorney, Nicholas Smith, who, in turn, advised the credit provider and financial adviser that he would brief counsel in respect of applications for the liquidation of the companies concerned and the sequestration of the individuals responsible for the default. Smith and Mrs S engaged Leonard Katz and Letitia Field of Edward Nathan Sonnenbergs, who applied to the Western Cape High Court for Bravomate to be placed under provisional liquidation. Mrs S’s affidavit argued that Bravomate was unable to pay her and had conceded that it had a liquidity problem and that its assets were not readily realisable. She had no other option but to bring liquidation proceedings against Bravomate, she said. Within a week of Katz filing the application, a settlement was reached, and made an order of court. In addition to the initial R700 000 paid to Mrs S, Bravomate agreed to pay, on or before November 20, the capital balance of R596 576, interest of R121 540 and R30 000 towards Mrs S’s legal costs. Smith says the liquidation application route is not a remedy readily available to the average person. If you cannot afford an attorney, you can complain to the Ombud for Financial Services Providers. The role of the ombud is to resolve disputes between financial services providers and their clients, and the ombud’s services are free. But the ombud’s jurisdiction is limited to claims not exceeding R800 000. If you agree to compensation of up to R800 000 only, the ombud will consider your complaint. Personal Finance put questions to Carl Liebenberg, who advised Mrs S to invest in Bravomate, a company that provided services to Bondpro Finance, which he describes as one of his “projects” on his CV on LinkedIn. In spite of his denial (below) that there is any relationship between his company and Bravomate, Liebenberg says he “constructed the solution” and subsequently “took a decision to wind the structure up”. Mrs S says Liebenberg did not make any disclosures to her about his interests in Bondpro Finance, nor did he give her a “record of advice” (a written record of his recommendation of the product and the basis for his recommendation). Liebenberg is now an executive director at Prescient Wealth Management. What is the relationship between Dunvegan Wealth and Bravomate and the other companies in the Bondpro group of companies? Bravomate is a special purpose vehicle (SPV) set up to provide capital for mortgages extended to clients of Bondpro. There is no direct relationship between the Dunvegan or Bravomate. Are you a director of or shareholder in any of the above companies? I am the sole shareholder and director of Dunvegan Wealth. Why did you advise Mrs S to invest in Bravomate? She needed a high-income investment with low risk. As the loans to clients in Bravomate were backed by primary mortgage bonds with approximately 40-percent equity (the loan to value of the average loan was below 60 percent), this was deemed low risk. All investors were given a full explanation of their investment and signed an application form to this effect. What due diligence did you do on Bravomate before you advised Mrs S to invest in Bravomate? We worked extensively with Dawie Botha of Bondpro since 2008. We constructed the solution in consultation with Botha. Once funding was raised, we performed regular checks on the performance of the mortgages (on behalf of our funders) by going to Bondpro to ensure that all loans were within the mandate given to Bondpro. How many of your clients have loaned money to or invested in Bravomate? There have been a number of investors who have invested and then liquidated and had their capital returned over the past five years. I am not sure of the exact number, but the SPV never had more than R10 million in it at any time. I don’t think there were more than 10 investors in total. There are currently only four who remain, as the structure is being wound up and funds are being returned to investors as the loans are sold off to other institutions. What commission and/or fees did you earn for putting clients into loan agreements with Bravomate? Dunvegan earned an advisory fee from the client of 0.5 percent per annum on the funds invested. What commissions were you paid by Bravomate as opposed to what you earned from clients invested in Bravomate? Dunvegan didn’t earn any fees from Bravomate. Have you advised any of these clients to withdraw their money from Bravomate since Mrs S’s liquidation application? Yes. Since the issue with Mrs S in October 2013, I took a decision to wind the structure up. I notified all funders accordingly. If you invest in a product that is a loan, such as a bridging loan, you will not necessarily enjoy the protection of the National Credit Act (NCA), even if the entity you are lending money to is a registered credit provider. The NCA does not apply to a credit agreement where the consumer (the borrower) is a company with an asset value or annual turnover of more than R1 million. The Act also does not apply to a credit agreement with a principal debt of more than R250 000 where the consumer is a company, Lesiba Mashapa, the company secretary of the National Credit Regulator, says. In the case of Mrs S and Bravomate (a registered credit provider), Mrs S was the lender and Bravomate was the borrower, David Botha, the sole director of Bravomate, said this week. “According to the NCA, the credit provider has to ensure conformance to the Act’s requirements,” Botha said.